Adopted on March 16, 2012. Governor John Hickenlooper signed House Bill No. 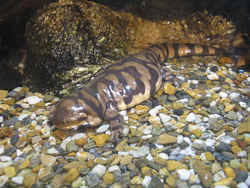 12-1147 on March 16, 2012, adopting the western tiger salamander as the official amphibian of the State of Colorado. This small amphibian can be found in ponds and lakes statewide; also look for them near rodent burrows and on ground surfaces at night during damp weather. 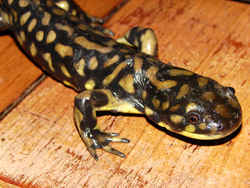 The Tiger Salamander is the only native and documented amphibian to be found in all 64 counties of Colorado. The idea for this legislation was brought to me by District 7 residents and you can learn more about their campaign for a state amphibian on facebook. They founded an organization called "Colorado for the Western Tiger Salamander" and created a FaceBook© page to promote their project. Adults Tiger Salamanders vary in color pattern, but background color is usually dark, with lighter blotches of yellow, tan, or green. Adults are large and heavy-bodied with a body length of 3 to 6 inches. Eggs and Larvae: Eggs are typically laid in small clusters of 5 to 120, but may be laid singly. Larvae are typically pale green or brown. They have external gills and are relatively large and heavy-bodied (0.75 to 4 inches). 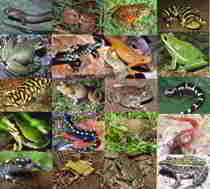 Coloration geographically variable to an extreme, often mottled, blotched, or spotted; adults are stocky, with 11 to 14 (usually 12 to 13) costal grooves, a broad head, small eyes, and tubercles on the soles of the feet; pond-type larva (but lacks balancers), with three large pairs of gills, vomerine teeth in U-shaped pattern, and dorsal fin extending to region of axilla; adults usually are about 15 to 22 cm in total length (to about 34 cm) (Stebbins 1951, 1985; Behler and King 1979; Conant and Collins 1991). Tiger Salamanders in Colorado are primarily associated with prairie or agricultural habitats. 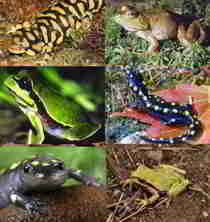 They breed in ponds, lakes, springs, intermittent streams, and stock ponds, usually those without fish present. Adults go to the breeding ponds soon after snowmelt; after breeding, adults may remain in the ponds or move to upland areas and live in burrows. Eggs hatch in 2 to 5 weeks and metamorphosis takes 2 to 24 months. In some locations larval salamanders never transform, but rather become sexually mature and breed while retaining external gills (referred to as neotony). These salamanders are often called "axolotls" or "water dogs". Are benthic in ponds but may enter upper water column at night. At high elevation, tend to select warmest water in ponds (rarely above 25 C). Shallows during day, deep water at night. According to State Representative Angela Williams, sponsor of 2012's House Bill No. 12-1147. 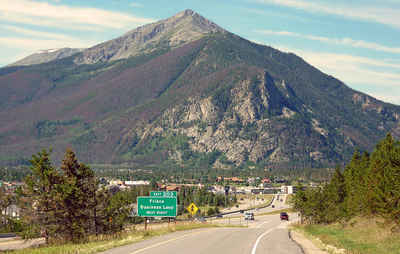 The governor signed this measure on March 16, 2012. BY REPRESENTATIVE(S) Williams A., Court, Fields, Hullinghorst, Kerr A., McCann, Schafer S., Solano, Todd, Wilson, Brown, Casso, Fischer, Hamner, Kagan, Labuda, Miklosi, Pabon, Ryden, Szabo, Tyler, Vigil, Young, Duran, McKinley, Pace, Peniston; also SENATOR(S) Foster, Guzman, Johnston, Spence, Tochtrop, Aguilar, Bacon, Boyd, Carroll, Giron, Grantham, Heath, King S., Morse, Roberts, Schwartz, White, Williams S.
CONCERNING THE DESIGNATION OF THE WESTERN TIGER SALAMANDER AS THE STATE AMPHIBIAN. SECTION 1. Legislative declaration. The general assembly hereby finds and declares that the designation of the western tiger salamander as state amphibian of the state of Colorado shall not stop, delay, otherwise impede a public or private construction project or agriculture activity from proceeding. 24-80-911.4. State amphibian. THE WESTERN TIGER SALAMANDER (AMBYSTOMA MAVORTIUM) IS HEREBY MADE AND DECLARED TO BE THE STATE AMPHIBIAN OF THE STATE OF COLORADO. SECTION 3. Act subject to petition - effective date. This act takes effect at 12:01 a.m. on the day following the expiration of the ninety-day period after final adjournment of the general assembly (August 8, 2012, if adjournment sine die is on May 9, 2012); except that, if a referendum petition is filed pursuant to section 1 (3) of article V of the state constitution against this act or an item, section, or part of this act within such period, then the act, item, section, or part will not take effect unless approved by the people at the general election to be held in November 2012 and, in such case, will take effect on the date of the official declaration of the vote thereon by the governor. The law designating the western tiger salamander as the official Colorado state amphibian is Section 24-80-911.4. 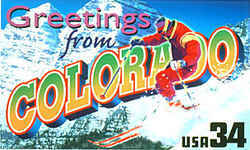 (State amphibian) of the Colorado Revised Statutes, specifically Title 24 (GOVERNMENT - STATE - STATE HISTORY, ARCHIVES, AND EMBLEMS) Article 80 (STATE HISTORY, ARCHIVES, AND EMBLEMS) Part 9 (STATE EMBLEMS AND SYMBOLS) C.R.S. 24-80-911.4 (2015). The western tiger salamander (Ambystoma mavortium) is hereby made and declared to be the state amphibian of the state of Colorado. HISTORY. Source: L. 2012: Entire section added, (HB 12-1147), ch. 19, p. 53, ? 2, effective August 8. Cross references: For the legislative declaration in the 2012 act adding this section, see section 1 of chapter 19, Session Laws of Colorado 2012.